1775, 10 November – Sam Nicholas and Robert Mullan formed the basis for two battalions of Marines in preparation for action in 1776… Leave it to the Marines to start the legend in a bar. I’ll be honest, I’ve met tough civilians, LEO (Law Enforcement Officers), and military from different branches and units, but there’s something unique about the Espirit de Corps wearing the Eagle, Globe, and Anchor. It isn’t the strength of any individual Marine that is the foundation of it’s success. It’s the strength of the unit that is created when strong individuals are willing to serve something larger than themselves and live by a code. I felt a similar sense of fraternity as a Military Policeman when I switched to the US Army NG, but it wasn’t “Army wide” so much as a sense of brotherhood (and ‘sisterhood’ if you will) for the unit and MOS (Military Occupational Specialty). 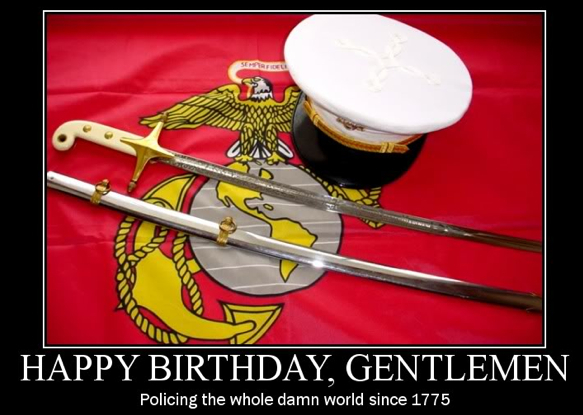 So, here’s to my fellow Marines – Current, former, and standing in formation in the great beyond…. Drills for Skills: Preparation not… well, you know. The Tactical Arnis motto is to “Train Smart.” One way we do this is focusing on the ‘big picture’ training goal of our program – preparation for self defense. An example of a drill that develops preparedness is the “Hand Flash” drill borrowed from my time training with Bobby Taboada in his Cuentada Balintawak System. This drill is an empty hand version of the ‘defense and counter’ training approach that is signature of Filipino Martial Arts (FMA) in general and Balintawak specifically. The “WHAT” of doing the drill is to isolate and develop quickness and speed. ‘Quickness’ is your ‘first twitch’ explosive move that takes you from ‘zero to 60mph’ whereas ‘speed’ is your ‘top speed’ once you get going. The “WHY” is NOT to master the drill for it’s own sake, but to prepare students for the ‘furball’ of reality. If we look ‘pretty’ too… well that’s just a bonus.